Why Keystone Academy and who are the founders? Keystone Academy has emerged from an urgent need for a new concept in the educational landscape in China. We are a non-profit, self-governing, boarding and day school. Our funding comes from a generous group of founding benefactors who have provided the initial financing to create a world class Academy. These founding benefactors want to create a new conversation about education in Beijing. 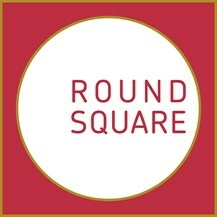 Our founders believe in the exciting possibilities inherent in combining Chinese, American and international traditions of education, in a bilingual and boarding context, and see this Academy as the “keystone” that will bring together the most powerful aspects of these different educational approaches in dynamic fashion. Our project is an ambitious one, focused on preparing Chinese and other students for successful futures in a rapidly changing world. What is unique about Keystone Academy? Keystone Academy will prepare Chinese and other students for the best universities and colleges in the English-speaking world. Our academic program will be international in scope, with a central curriculum thread that focuses on Chinese identity, language, culture, and history. We will draw from compelling Chinese, American, and international instructional techniques of inquiry-based learning, critical-thinking, and creative problem solving in a rigorous intellectual environment to prepare our students for the challenges of the modern integrated world. Through this cultural fusion, we promote local, national, and international understanding. Through our boarding program, our students will develop the values, close relationships and independence that are essential for positive leadership and success. The majority of our students will be Chinese, but we will also have a healthy representation of other nationalities. All of our students will graduate from Keystone fluent in Chinese and English. What advantages will Keystone Academy offer my child? Keystone Academy's world-class facilities; our academic resources, residential spaces, and facilities for athletics, arts and technology offer students a cutting-edge educational environment. In addition to these substantial resources, students will experience talented teachers from China and around the world who are committed to developing students’ intellect and character. Keystone is also affiliated with distinguished partner schools in China and abroad, and provides students with myriad opportunities to live and learn in a global context. Keystone Academy is registered with the International Primary Curriculum, and uses the IPC program in our primary school grades. We are a world school authorized to provide the International Baccalaureate® (IB) Diploma Programme in high school, and are in the process of gaining authorization for their Middle Years Programme. The IB Diploma Programme is widely respected by the most selective colleges and universities around the world. 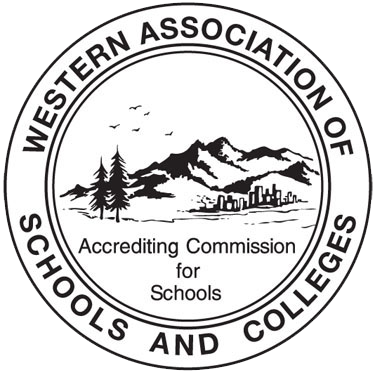 We are also additionally accredited by the Western Association of Schools and Colleges (WASC) from foundation year to grade 10. WASC is a world-renowned educational agency specializing in work with American and international schools. How does Keystone select its leadership team and teaching faculty? The Keystone president and founders appointed Malcolm McKenzie as the founding Head of School. Mr. McKenzie is a lifelong educator who has headed outstanding schools on three continents—Africa, Europe, and North America—and conveys a broad understanding of education practices from around the world. He comes to Keystone Academy after serving as Head of The Hotchkiss School, a premiere boarding school in the United States. Mr. McKenzie has selected a dynamic and experienced leadership team from Chinese and American schools. This team will work to establish high quality educational frameworks and academic structures, and will recruit an outstanding teaching faculty. Why draw on three educational traditions? Keystone Academy aims to prepare Chinese and international students for the world. What better way than to develop a curriculum and educational experience rooted in and informed by some of the very best models of teaching and learning in the world?Keystone builds on Chinese, American, and international pedagogies to form a singular outstanding education. This will enable our graduates to possess the intellectual, cultural, and ecological fluency to navigate gracefully in any university, any city, and any profession of their choosing. They will benefit from the rigor and depth of Chinese teaching methods; the inquiry and experiential pedagogies that put students at the center of learning in the United States; and the emphasis on critical thinking, creativity, and intercultural fluency that is a strength of international school curricula. Why is the blending of Chinese, U.S., and international Learning traditions so central to Keystone Academy’s mission as a world school? Even in our highly interconnected global society, education systems specific to individual countries are very inward looking. Schools rarely draw from methods outside their national systems. Yet we could learn so much from different styles of education and our students would be the beneficiaries. For example, why is geography so established in British-based systems and almost absent from American ones? What could we learn from the French predilection for philosophy? Should we question the lowly place of economics and entrepreneurship in liberal arts curricula? Some systems agree that mastery of two languages is essential, but in others three is the norm. What could international educators learn from the positive effects of limiting calculators in Chinese mathematics classrooms or encouraging Socratic dialogue in western seminars? At Keystone, we are asking these questions with curiosity and humility. The result is a curriculum designed to prepare our students for lives of leadership here in China and throughout the world. Keystone integrates teaching and learning practices from Chinese, American, and international schools. What does each tradition contribute to a student’s overall education and experience? The Chinese philosophy of education – going back thousands of years – is rooted in discipline, high expectations, and a commitment to leading a virtuous life. Imagine a school where students expect to work hard; where they have profound respect for the process necessary to learn new concepts and to master material; where they pursue academic subjects with extraordinary depth; where the challenge of learning leads to intellectual resilience and personal fortitude. We are inspired by the opportunity to found Keystone in Beijing, where a culture of rigorous academic training is the norm. Our students will have the benefit of practices that have made Chinese students – particularly in mathematics – the envy of the world. Holistic, inquiry-based, and experiential learning teaching methods are hallmarks of the best in American education. Imagine a school that focuses on the development of a fully integrated person – intellect, character, talents, emotional intelligence, empathy, and civic responsibility. In these classrooms, students and teacher sit together at a seminar table in discussion. Students are so engaged in learning that they lean into the conversation, building on one another’s ideas, gaining as much from each other’s insights as they do from their teacher. In a school like this, experiential learning at a very high level means a student’s studies are not confined to classrooms. Rather, teachers make use of cultural institutions, urban neighborhoods, the natural world, art, and architecture as living laboratories for the study of science, history, politics, art, and literature. Now imagine dedicated, ambitious Chinese students actively participating in U.S.-style seminar discussions. Imagine immersing these students in the vast culture, history, and natural world of China and giving them the opportunity to apply their knowledge globally through service projects and exchanges with students in other countries. This is our vision at Keystone. A desire to promote global understanding inspired the rise of international schools more than a half century ago. International school curricula, such as the International Primary Curriculum and the International Baccalaureate, are used in countries all over the world to develop critical and creative thinking. They, which Keystone are adopting and enhancing for our school, teach students to make connections across and at the intersections of disciplines. They focus on the intercultural competence that comes from learning two or more languages. At Keystone, we are complementing these international curricula with Chinese-style math training and our own Chinese history, identity and culture curriculum that builds from the early years through high school. More than the sum of these three powerful modes of education, Keystone’s program is designed for, as our mission states, “students who are hungry for opportunity, bold in their thinking, and creative in their instincts.” It is a program of depth and breadth, rigor, creativity, and exploration. It is designed to teach our students to look outward into the world – into different cultures and countries for inspiration, new knowledge, opportunities for hybrid techniques and ways to collaborate. Beyond inquiry-based and experiential learning prevalent in U.S. schools? A Keystone education draws on another American tradition—the college preparatory boarding schools of New England. Why is this a distinctive part of a Keystone education? 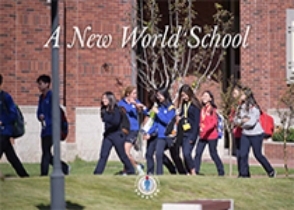 Elite boarding schools in the United States attract students from around the world because they offer a community devoted to living and working toward high human ideals. Given that Keystone’s mission is to educate globally minded leaders, we think boarding is essential to our students’ development. Keystone students will be required to be part of our boarding community in grades 9 through 12. They also have the option to board in grades 7 and 8. The best boarding schools are diverse microcosms striving to create communities in which human beings treat each other fairly. Through living in such communities, students learn to resolve conflict. They learn when and how to lead and follow. They collaborate with and gain lifelong insights from living with others who are different from themselves. In these purposeful communities, young people become more mature, independent, self-starters. They know who they are and the strength of their character. Our school leadership team understands the mission and benefits of superb boarding programmes. We bring to Keystone Academy deep experience in distinguished U.S. boarding schools, including Choate Rosemary Hall, Deerfield Academy, The Hotchkiss School, The Loomis Chaffee School, and Philips Exeter Academy. What do you anticipate Keystone’s educational outcomes to be? What qualities and skills will a Keystone graduate have? We prepare graduates for top universities around the world. Ultimately, a Keystone education will equip them to take their place as significant participants on a global stage.